Paper consumables including hand towels, centrefeed rolls, facial tissues, couch rolls, hygiene rolls, floorstand rolls and toilet rolls. Handcare including commercial soaps, catering & industrial soaps, hand cleansers & systems. Plastic Sacks including refuse sacks, bin liners, wheelie bin liners, colour coded sacks & specialised hygiene sacks. 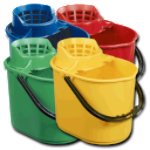 Housekeeping Cleaning Chemicals and consumables including multi purpose chemicals, furniture polish, air freshener, dusters, cleaning cloths, microfibre cloths and woven textile cloths. Washroom Cleaning Chemicals including toilet and hard surface cleaners, urinal blocks and biological maintenance. Catering Chemicals including beer line cleaners, descaler, dishwash, glasswash, drain cleaner, washing up liquids. Polycarbonate unbreakable safety glasses, vending cups, bar accessories, optics, flexible glasses and glassware. Floorcare Chemicals including carpet cleaning & hard floor chemicals, polish, stripper & maintainer, chewing gum remover etc. Wet Wipes including telephone/VDU wipes, surface & sanitising wipes, graffiti wipes and universal wipes. Gloves and PPE disposables including aprons, hair nets, latex gloves, nitrile gloves, rubber gloves, coveralls, visitors coats, shoe covers etc. Unger window cleaning equipment including scrapers, pouches, channels, blades and applicators. 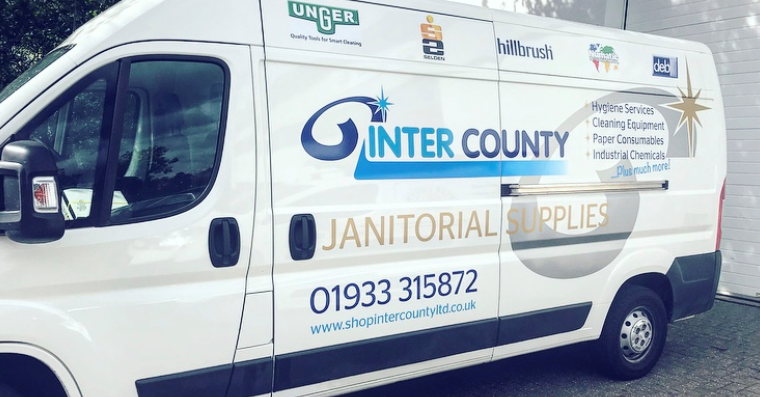 We also offer a huge range of cleaning equipment and consumables such as socket mops, kentucky mops, mop buckets, safety signs, spray bottles, litter pickers, mop sweepers and handles etc. Brushware & Brooms including toilet brush sets, dustpan & brushes, nail brushes, scrubbing brushes and brooms etc. Floor pads including buffing pads, stripping pads, edging pads and doodle bugs. Numatic Machinery & accessories including wet & dry vacuums, henry vacuums, scrubber driers, buffing / rotary machines and vacuum bags and spares.